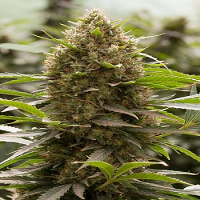 Plants can grow up to a metre tall with numerous side branches..
Nicole Cream Auto Feminized Cannabis Seeds by Seed Stockers Seeds: Nicole Cream Autoflower combines two USA heavyweight varieties, Nicole Kush and Extreme Cream, into a productive indica autoflower. 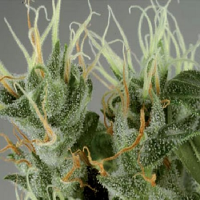 The Nicole Kush genetics originally came from Kosher Kush x Nicole Indica, these Kush genetics are the dominant ones and help deliver a notably strong auto variety with a fresh Kush taste and hints of creamy citrus on the exhale. This variety is usually ready to harvest around 75 days after germination. But the patient grower can leave this potent auto an extra week or two and will be rewarded with an extra heavy harvest and a slightly heavier body stone. Nicole Cream Autoflower is a THC rich feminized autoflower variety with THC levels above 20% and a pleasing feel-good smoke/vape. 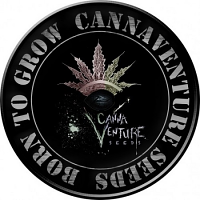 The use of the latest USA genetics guarantee consistent potency and premium quality harvests. This is a perfect choice for any grower looking for an easy and uncomplicated variety to grow with a strong Kush effect and heavy yields. Indica fans will love the uncomplicated and easy growing nature of these genetics almost as much as they will love the incredibly satisfying buds. The high resin levels mean that this is a reliable choice for concentrate fans looking to produce oil, shatter or other concentrates. Plants can grow up to a metre tall with numerous side branches.